America is having a reckoning and it’s long overdue. I’m talking about the movement to hold sexual harassers accountable for their actions. This important movement is now shaking the halls of power in Congress and state capitols and I am determined to help lead it. I remember my first year in the Tennessee House of Representatives. It was 1998, and having spent my career as a nurse and an educator, I had a lot to learn about the legislative process. I immediately figured out that the state House had a “good ol' boy” culture - and learned about the inappropriate actions of some of my male colleagues. One member always seemed to manage to get on the elevator with me, and proceed to back up until I was against the wall and he was pressed against me. I learned fairly quickly to cross my arms with my elbows out so they dug into his back. Another member rarely called me by name and addressed me only as "Nurse Goodbody.” It was objectifying, disrespectful and highly inappropriate for any work setting. In 2009, while I was Senate Caucus Chairman of the Tennessee state legislature, I called on one state senator, in my own party, to resign after learning of his affair with an intern. I firmly believe now what I believed then: as elected officials, we are public servants and must be held to the highest of standards. This month, reports of disgusting behavior toward Congressional staff and female members of Congress have begun to emerge, some dating back decades and others more recent. We’re now experiencing a cultural shift in which women, and men, are able to come forward and hold those in powerful positions responsible for their actions after decades of intimidation and silence. There is no place in the public or private sector for sexual harassment or assault. Period. This should be intolerable in the House and the Senate, whether it’s elected officials or their staff. Congress should be a place of safety for everyone working here and the secrecy of this behavior has gone on far too long. It has come to light that over the past 20 years, nearly $17 million has been paid out by the Congress’s Office of Compliance in various legal settlements, including discrimination and sexual harassment complaints. Using taxpayer dollars to settle those claims behind closed doors is despicable and serves to protect perpetrators while silencing victims. These payments of tax dollars have been occurring without the knowledge of almost everyone in Congress. When I found out about these funds and payouts, I was extremely disturbed and joined my House colleagues in a bipartisan effort to bring transparency to allegations of sexual misconduct occurring on Capitol Hill. The Congressional Accountability and Hush Fund Elimination Act, of which I am a co-sponsor, explicitly prohibits the future use of tax dollars to pay settlements in these cases. It publicly exposes perpetrators and requires them to reimburse taxpayers with interest for the funds they have used to settle claims. Currently, victims looking to file harassment complaints have a 180-day window to file a report, followed by up to 30 days of counseling and another 30 days of mediation. Their office is then notified and a non-disclosure agreement is signed; a lawyer is provided by Congress for the accused and the victim must provide their own attorney. This arduous and unfair process must be brought to an end. Under our bill, non-disclosure forms will no longer be a precondition to initiate investigations, and victims who received a settlement prior to the bill’s enactment will be able to make a public statement. Veils of secrecy only serve to protect the perpetrators. Full transparency is the only way to allow healing for victims and justice for perpetrators. The public should know where tax dollars have been directed, while allowing victims the opportunity to come forward without fear of retribution. And those found guilty of accusations need to leave Capitol Hill immediately. I believe these rules should apply to elected officials at all levels. We are in the midst of a challenging period in our country’s history, but I hope we don’t let this opportunity go to waste. If we take action now to change the culture of abuse and harassment, my hope is that the next generation of young women and men won’t have to grow up with the same demeaning, disrespectful and downright disgusting words and actions that many of us did. And it starts with cleaning up our act in Congress. This isn’t about partisanship. This is about what’s right and wrong, and holding public servants on both sides of the aisle accountable. The men and women we represent across the country have given us their trust and deserve absolute truth. Congress is not above the law. The time to act is now. 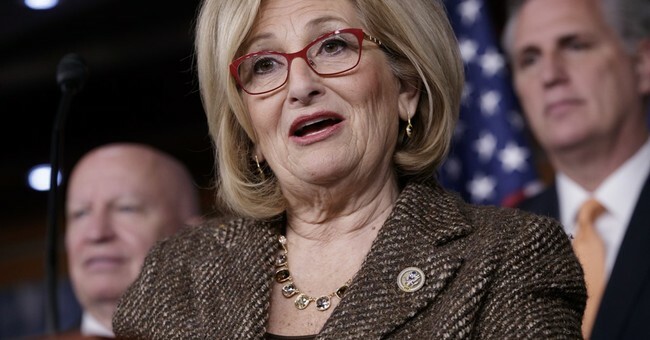 Congressman Diane Black represents Tennessee’s 6th Congressional District. A nurse for more than 40 years, she serves as Chairman of the House Budget Committee and a member of the Ways and Means Committee.